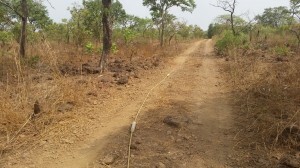 AMR Gold is using deep UltraGPR technology in the search for coltan dykes in central Sierra Leone. Initial work has focussed on tracking these thin dykes using tightly-spaced lines to create a pseudo-3D model of the subsurface. The survey work is expected to expand into unexplored regions. Groundradar conducted trials surveys in northern Guinea for mapping high grade ore zones within lateritic bauxite deposits. The trials were successful, and the data matched those acquired at similar bauxite deposits in SE Asia, Australia, Brazil and Madagascar.